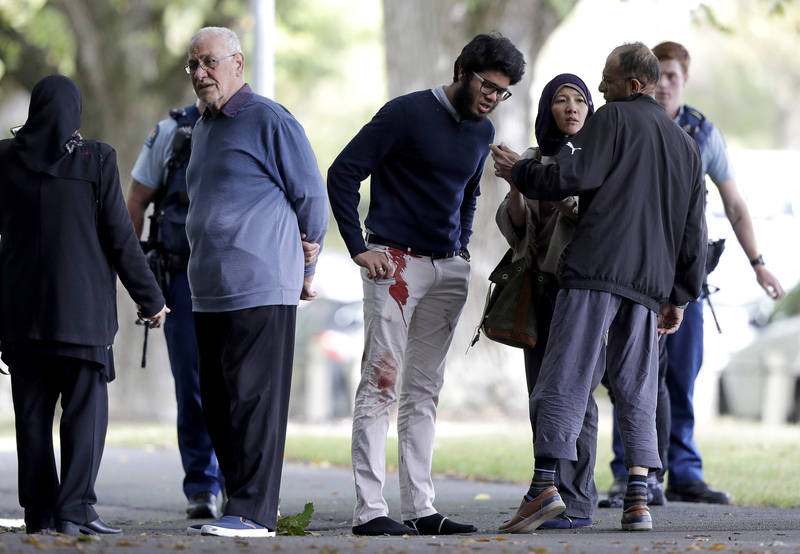 UPDATE: Police Commissioner Mike Bush says a man is charged with murder in New Zealand attacks and will appear in court Saturday. 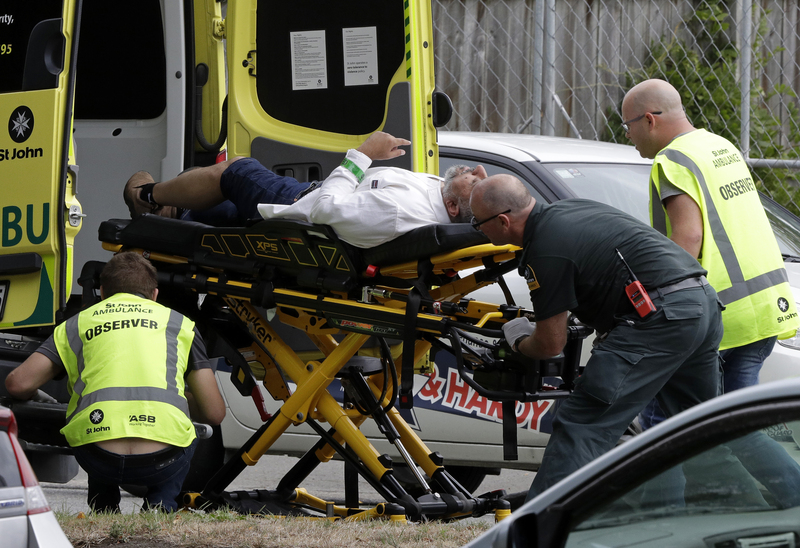 UPDATE: New Zealand Police Commissioner Mike Bush says death toll has increased to 50 in mosque attacks. 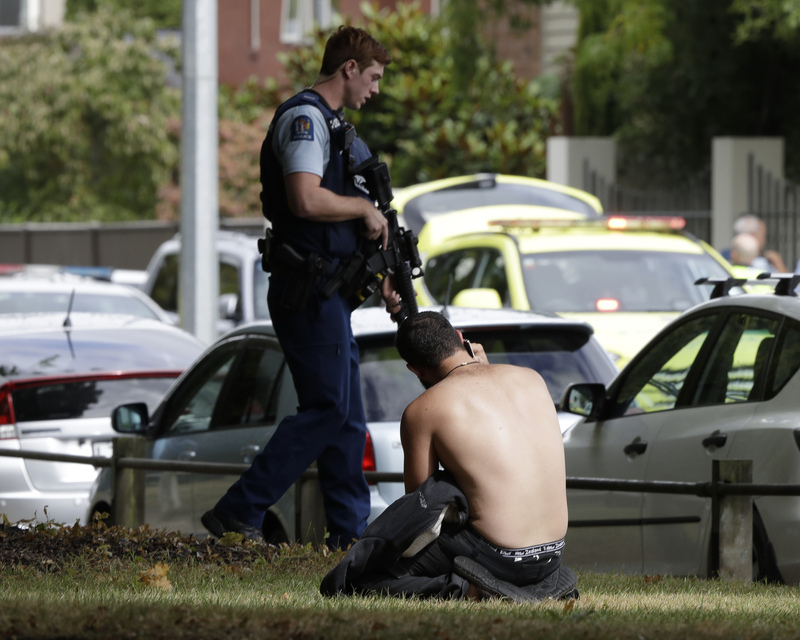 CHRISTCHURCH, New Zealand: Mass shootings at two mosques full of worshippers attending Friday prayers killed 49 people on what the prime minister called "one of New Zealand's darkest days," as authorities detained four people and defused explosive devices in what appeared to be a carefully planned attack. Authorities have not elaborated on who they detained. But a man who claimed responsibility for the shootings left a 74-page anti-immigrant manifesto in which he explained who he was and his reasoning for his actions. He said he was a 28-year-old white Australian. Australian Prime Minister Scott Morrison confirmed that one of the four people arrested was an Australian-born citizen.  Ardern at a news conference alluded to anti-immigrant sentiment as the possible motive, saying that while many people affected by the shootings may be migrants or refugees "they have chosen to make New Zealand their home, and it is their home. They are us. The person who has perpetuated this violence against us is not." Police Commissioner Mike Bush said police were not aware of other suspects beyond the four who were detained but they couldn't be certain. "The attackers were apprehended by local police staff. There have been some absolute acts of bravery," Bush said. "I'm hugely proud of our police staff, the way they responded to this. But let's not presume the danger is gone." Bush said the defense force had defused a number of improvised explosive devices that were attached to vehicles stopped after the attacks.  He said anybody who was thinking of going to a mosque anywhere in New Zealand on Friday should stay put. 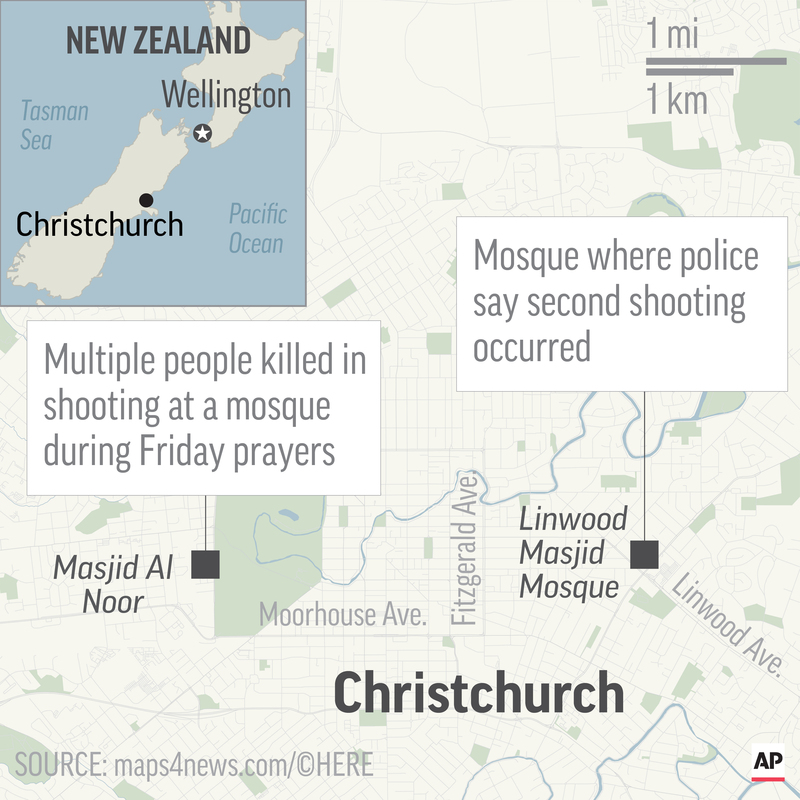 The deadliest attack occurred at the Masjid Al Noor mosque in central Christchurch at about 1:45 p.m. Arden said 30 people were killed there. 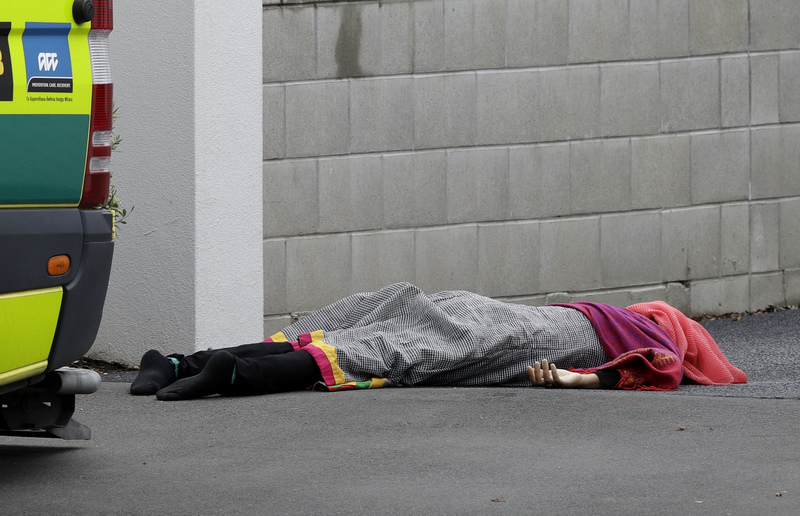 There was a second shooting at the Linwood Masjid Mosque that Ardern said killed 10 people. Perry reported from Wellington. Associated Press writer Kristen Gelineau in Sydney contributed to this report.